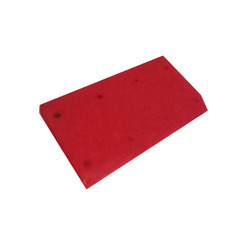 Leading Manufacturer of polyurethane pad from Chennai. Our company has earned accolades in offering Polyurethane Pad to the clients. Offered range is widely acclaimed to cater to the needs of forming, stripping and machine requirements. This product is manufactured under the vigilance of dexterous technical experts by utilizing supreme grade material and latest machine.